As soon as you seat them, they are replaced by another group, and another, until your restaurant is packed to the brim and you are drastically understaffed. It’s when you’re running around, trying to fill the role of another server that you remember it’s the opening night of the new theater next door. Mistakes like this can result in both unhappy customers and staff, and can monopolizing time that could be spent completing your other duties. While no schedule will be perfect, many common staffing mistakes can easily be eliminated. 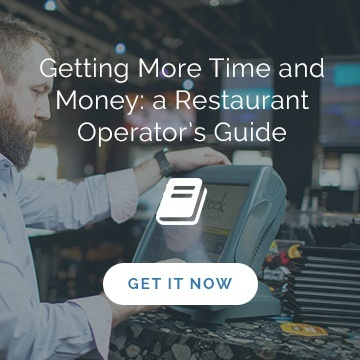 Remembering to avoid these six common errors when creating your restaurant schedule will help contribute to a happy staff, satisfied customers, and a smoothly-run restaurant. Yes, it’s tempting to use ‘copy and paste’ to save time in your busy day. After all, you know that the sales next Monday will probably be similar to last Monday’s sales, and that Fridays and Saturdays are going to require similar staffing levels from week to week. However, copying the same schedule can result in unexpected and unwelcome surprises. A busy Friday at an open-air, beachfront restaurant in August has radically different staffing needs than a Friday in October. Similarly, on a Thursday night before a three-day weekend, you might find that your normal staffing levels are not enough to effectively serve the long-weekend revelers. Research, research, research. While it's difficult to predict the exact number of staff you need per week (don’t we all wish that was possible! ), your past sales figures, events in your area, and holidays can help guide you to an optimal schedule. Simply copying the same schedule doesn’t take into account any factors that may vary from week to week. Taking the time to look into these elements may be more time-consuming initially, but will pay off when you have the staff to handle whatever the night brings. Restaurants don’t operate in a vacuum. 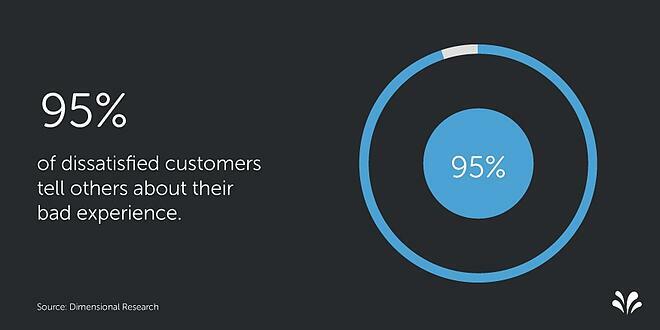 Customers have to come from somewhere, and it’s your job to figure out when they’ll visit to your establishment. While past sales figures can be a great place to start when determining your staffing levels, relying on those figures only when making your schedule isn’t enough. If you’re a sports bar and you don’t know the upcoming game days, or if you don’t know major events in your town, you’re missing a big step. Take a walk around your neighborhood, pick up your local newspaper, and chat with your customers. You should know about your local university’s graduation, the town fair, the neighborhood theater’s showtimes, sports games, and anything else that could influence people’s dining habits. Incorporate your findings into your schedule for the week. An awareness of the world outside of your restaurant will ensure that when happy families stream through your door to celebrate a graduation, you’ll have the staff on hand to make the night run smoothly. Many people have been in this situation before: you find yourself sitting at a restaurant on a busy Friday night and waiting for the frazzled server to come over and take your order. When he finally does arrive, you find that he’s unable to tell you the specials or answer your questions about the dishes you’re ordering. It’s a sad reality that inexperienced servers are often thrown into the busiest shifts with improper training. Not taking every staff member’s skills and experience into account when scheduling can reflect poorly on your restaurant and leave yourself open to bad reviews. When making your schedule, go through each department that you are scheduling and rank the employee's skill levels. Once staff have been ranked, rank the shifts you need scheduled according to their level. That way when you are creating a schedule you'll be easily able to align the appropriately skilled employee with the proper shift. A waiter or chef who has been working for your restaurant for years and can recite the ingredients of every dish in his or her sleep should be working shifts that will likely be especially busy. Conversely, staff that you hired a few weeks ago still need to gain experience. The best way to provide that experience is to start them out working slow lunch shifts or shadow shifts, where they’ll have the chance to learn about the menu and restaurant under supervision. Ensuring that you have a properly balanced floor plan will keep you from running around acting as a ‘fixer’, and will keep customers content and eager to return. A happy and effective staff keeps the restaurant running smoothly and the customers pleased. When making the schedule, you play a big role in determining the staff’s mood when they come in for each shift. If you often forget about time-off requests or schedule staff against their availability, you could be contributing to a high turnover rate and indifference to service standards among your staff. Communication is key. Find a reliable way for staff to communicate their time-off requests, and honor them. Obviously, you won’t always be able to accommodate every request, so prioritize the requests based on their importance (for example, a family wedding is more important than taking a day off to go shopping). As well, during and after writing each schedule, look at what each team member’s week looks like. Try to avoid scheduling staff in double shifts and ‘clopens’ (where he or she works a late night and opens the next morning). Remember that as amazing as your staff may be, they are also human. They need consistent breaks to relax and recover, so when they come into work they’ll be able to provide energetic and excellent service to your customers. When you’re writing the schedule for the week, how do you decide on how many people you want on the floor? Scheduling extra servers because your intuition is telling you that it’s going to be busy on Wednesday is likely killing your profits and your team’s morale. This method of scheduling can quickly lead to overspending your budget and will cause weekly profits to plummet. Your staff also don’t want to show up for a shift that you “just knew” was going to be busy only to work for a couple hours and be cut early. Have we mentioned that you should be doing research before writing each schedule? Instead of listening to your gut, take a look at your budget, your nightly sales from the last few weeks, and upcoming events in your area and determine your staffing levels based on that information. It’s much better to have to explain to the owner that you were overstaffed on an unusually slow Friday night because sales have been through the roof on past Friday’s than to tell him you went over your labor budget for the week because your intuition told you to. It’s a terrible feeling when you’re waiting for one of your night servers to show up and you take a look at your schedule, only to find that you forgot to schedule someone to come in for that shift. On the other hand, if two bartenders are scheduled and show up for the same shift, one isn’t going to be pleased to head back home because of your mistake. Forgetting to schedule someone for a shift or scheduling two people for the same shift is an error that is usually entirely accidental, but all too common. With the right tools, it’s easy to ensure that you never over- or under-schedule a shift again. While handwriting schedules or entering them into Excel won’t automatically highlight your mistake, using online scheduling software will. Online scheduling software will eliminate human error in your schedules so you can avoid that awkward moment where you have to explain your mistake to the incorrectly scheduled staff members. 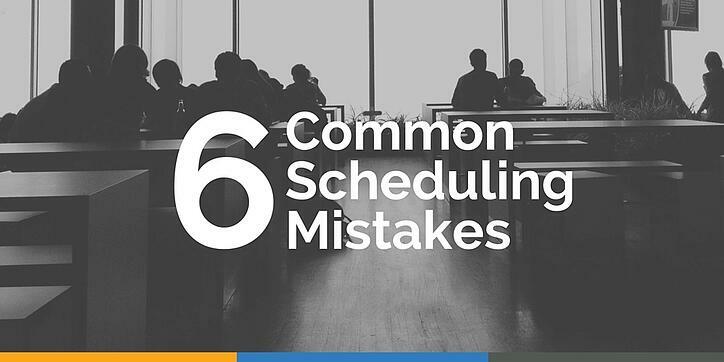 We know it’s very difficult to create a flawless schedule every week, but avoiding these six common scheduling mistakes can drastically improve your staff’s service and morale. At the very least, you and your staff will be well prepared when the next influx of theatergoers stream through your door. 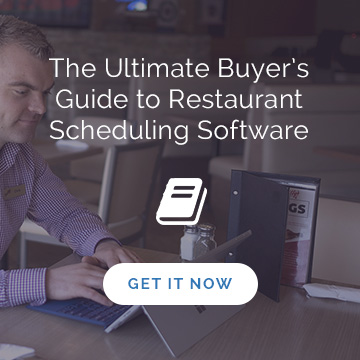 Looking for more ways to improve your restaurant scheduling? Contact us below to learn more about how Ameego can help you save management time, reduce labor costs and improve your employee satisfaction.